Don't become a victim of And-roid rage. 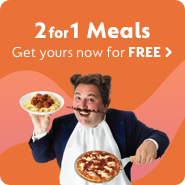 Shop around with GoCompare! Mobile phones are the must-have gadget of the 21st century. However, when it comes to the phones themselves, the public is commonly torn between Google's Android system and Apple's iOS. The Ying to Apple's Yang, Android is a worthy adversary to the acclaimed iOS, and the two operating systems operate a global duopoly of the mobile phone market. Despite this shared marketplace, Android has become the most used smart phone operating system in the world by a wide margin. In fact, an August 2016 study by renowned data analyst IDC Tracker found that over 86% of worldwide users opted for Android. Just under 13% were married to the Apple counterpart. With such dominance on a global scale, finding great Android mobile phone deals is a common task that many Brits can relate to. Luckily, this guide is dedicated to just that. The term 'Android' generally refers to the open-source, mobile operating system developed and maintained by Google. Released in 2008, the operating system has gone from strength to strength, with updates and improvements a regular feature of the programme. Quirky confectionary terms like Gingerbread, Jelly Bean and Lollipop are used as codenames for the various versions of the Android system. So the next time you hear a phone salesman suddenly start talking about KitKats and Oreos, try to keep your mind on the subject of mobile phones... sweet, delicious mobile phones. What Android phone options are available? With so many options available, trying to find a mobile phone deal that's right for you can be a daunting experience. It's basically the technological equivalent of ordering at Subway for the first time... during the lunchtime rush... while being drunk at the same time. So yes, a formidable challenge indeed. To simplify the process a tad, mobile phone packages can usually be divided into three primary options: contract, pay as you go (PAYG) and sim only. If you're on the hunt for an Android mobile, a sim-only deal will obviously not be suitable. However, the PAYG option can also be quite an expensive route to go down. Plus you can't get PAYG deals through us - just so you know. While a mobile phone contract may seem like quite a commitment for those who've never had one before, it can be the most cost-effective option overall. Mobile phone contract deals typically include a variety of minutes, texts and data, along with the handset itself - which can be pricey in its own right. In addition to these options, there are also other options to consider, like locked and unlocked phones. Unlocked phones allow you to use a sim from any network, which can be useful if you change providers down the line. Conversely, a locked handset won't allow you to deviate from the network it was originally programmed to. For instance, a locked 3 mobile phone may not be compatible with an EE sim. What's included in an Android phone package? When shopping for an Android phone deal, it’s important to weigh up the pros and cons involved. To save you the time and hassle, we've included the main areas to focus on below to give you a head start. Top of the list has to be the all-important handset – the very phone itself. With so many products available from a variety of mobile phone brands, choosing an Android device can be a tough decision to make, even for the most tech-savvy of shoppers. However, it's not a decision to take lightly - an expensive handset can see your monthly bill skyrocket. Conversely, the most economical option might not be suitable, and a cheap Android handset may be may not be fit for purpose. While many contracts include an handset upgrade down the line, this typically isn't until 18 to 24 months have passed, so choosing an Android phone that you want and are happy with is an important choice. If you choose a cheap handset, you could be stuck with it for well over a year. Making calls on your mobile will see your Android mobile phone account use up 'minutes' on your monthly quota. The more minutes on your agreed contract, the more time you can spend making calls. The amount of calls you make will determine how many minutes you'll likely need on your contract. For anyone that makes a lot of calls, the minutes on your contract can be a big deal. While you can go under your limit of minutes, going over can be an expensive habit. If you go over your allotted minutes, you could incur excessive charges that could inflate your bill dramatically. Sadly, connecting to these services requires data, as do a variety of other mobile activities, such as downloading music and streaming videos. Similar to minutes, going over your monthly limit of data can result in a nasty surprise when you open up your next bill. Luckily, most providers offer unlimited data as part of their tariff options. If you commonly use your phone to download and stream media, unlimited data could be a useful option. On the other hand, if you only use your phone to infrequently send emails, a low monthly data allowance would likely suffice. Due to the advent of messaging services and the rise in popularity of apps like WhatsApp, SMS messaging is becoming less prevalent in recent years. Nevertheless, text message provision is still highlighted as a focus of contract perks. Unlimited texts are a common feature of Android contracts, while providers also offer monthly provisions in the thousands. More often than not, this figure will be more than you will ever need, and text supply has undoubtedly taken a back seat to data over the last decade. While allocation of texts is less important these days, SMS messaging can still be a useful tool to have, particularly if you happen to run out of data or are in an area that's a data blackspot. As with any purchase, shopping around can be the difference between finding the Android deal of the week and being ripped off like a wax strip on a hairy leg. To avoid the latter, be sure to compare mobile phone prices with GoCompare before you sign up with anyone – you could find some great deals on the latest Android mobile phones with ease. It's also worth remembering that there is often a charge associated with cancelling a contract early, so only sign up to a contract that you're 100% happy with. If you have any queries, be sure to bring it up beforehand... Airing a grievance after your contract is underway could see you spinning your tyres rather than making any positive headway with your contract. Finding a tariff that's right for you can be a difficult task. Communication preferences differ from one person to the next, making the importance of data allowance, voice minutes and SMS messages a varying hierarchy. While it can be tempting to simply opt for the most attractive handset, be sure to weigh up which is most important to you before you jump in.